With Valentines Day around the corner, I thought it appropriate to share some love letters I came across in a book entitled "Love Letters of Great Women" Edited by Ursula Doyle. I have often thought that with the advent of technology and instant messaging, the value of the written word has been lost, or maybe trivialized to the point that we don't communicate much anymore - we just "LOL" or "TTYL". So in the spirit of love and admiration communicated through 'post' and reminiscent of a time when everything was done slowly and painstakingly well, here is the first of a few love letters from great women of the past. Some of these letters are heartbreaking, some are heartwarming but they all speak from one heart to another. Here is one from Abigail Adams (nee Smith), the wife of John Adams before he became the second president of the United States. 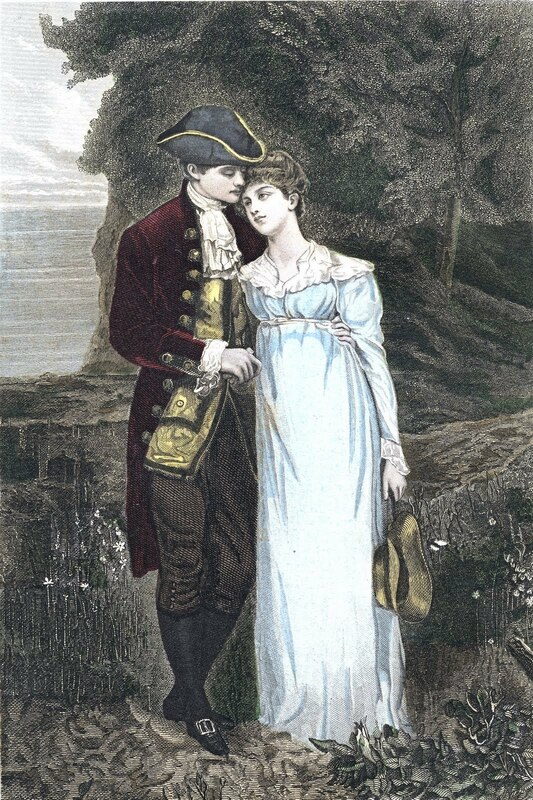 Although she lacked a formal education, Abigail was an avid reader and these two were the most devoted of couples. It's fairly evident in this letter that Abigail had as much a love for politics as John - she describes a great fear for her country. After he was elected president, she was regularly consulted by her husband on matters of policy, which earned her the title of "Mrs President" in the press. But Abigail was a true woman who loved deeply. She famously wrote to her husband as Congress was drafting the Declaration of Independence saying, "Remember the Ladies, and be more generous and favourable to them than your ancestors. Do not put such unlimited power into the hands of the Husbands. Remember all Men would be tyrants if they could." The great distance between us, makes the time appear very long to me. It seems already a month since you left me. The great anxiety I feel for my Country, for you and for our family renders the day tedious, and the night unpleasant. The Rocks and quick Sands appear upon every Side. What course you can or will take is all wrapt in the Bosom of futurity. Uncertainty and expectation leave the mind great Scope. Did ever any Kingdom or State regain their Liberty, when once it was invaded without Blood shed? I cannot think of it without horror. I have taken a very great fondness for reading Rollin's ancient History since you left me. I am determined to go thro with it if possible in these my days of solitude. I find great pleasure and entertainment from it, and I have persuaded Johnny to read me a page or two every day, and hope he will from his desire to oblige me entertain a fondness for it. - We have had a charming rain which lasted 12 hours and has greatly revived the dying fruits of the earth. The written word! How lovely. Taking the time to compose your thoughts, selecting your instruments (pen and paper), and the labour required to share your words with another creates a connection with the other more deeply than all the careless lols we fire off every day. A letter is a gift, something that can be kept, and revisited at the recipient's leisure. And what a gift for us, all these years later to be given a glimpse into the lives of these historic figures.